I am always looking for new apple recipes and so I couldn’t help but try this Betty Crocker recipe. 1 Heat oven to 425°F. Make pie crust mix as directed for 9-Inch Two-Crust Pie, using 1/3 cup cold water–except trim overhanging edge of bottom pastry 1 inch from rim of plate. 2 Stir together 1/2 cup sugar, the flour, cinnamon and nutmeg in large bowl. Add apples; toss. Spoon into pastry-lined pie plate. 3 Roll remaining pastry; cut into 10 strips, each about 1/2 inch wide. Place 5 strips across filling in pie plate. Weave a cross-strip through by first folding back every other strip of the first 5 strips. Continue weaving, folding back alternate strips before adding each cross-strip, until lattice is complete. Trim ends. Fold trimmed edge of bottom crust over ends of strips, building up a high edge. Seal and flute. Brush lightly with milk; sprinkle lightly with additional sugar. 4 Bake 30 to 35 minutes or until crust is golden brown and juice is bubbly. 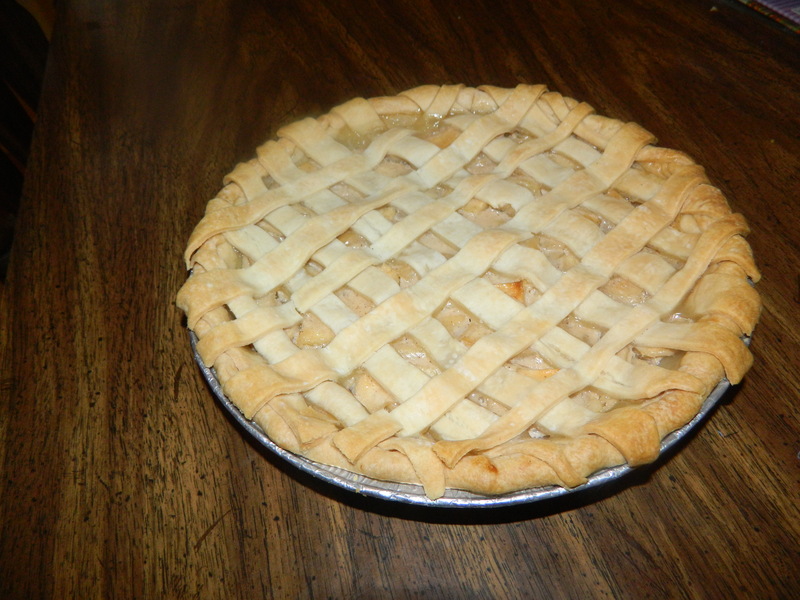 This is a Betty Crocker recipe and my pie did not look like the Betty Crocker picture but my munchkins loved how the pie tasted and to me that is good enough. My picky eater, “aka” Princess number 1, loved this pie so much that she asked for seconds and that is a rarity in our home. I hope you enjoy trying out this recipe. 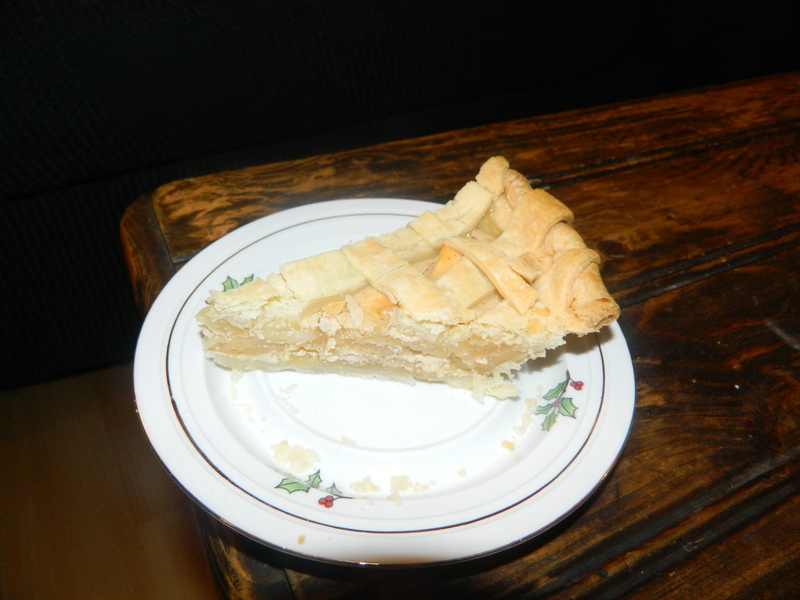 Posted in Misc: Arts, Recipes, Uncategorized and tagged apple pie, betty crocker, cinnamon, dessert, lattice, raw sugar. Bookmark the permalink.